Emily Hsieh is the Director of Global Operations at Alerian, which equips investors to make informed decisions about Master Limited Partnerships (MLPs) and energy infrastructure. Ms. Hsieh manages the firm's relationships with MLPs and licensees and develops business strategies for the Alerian Index Series. 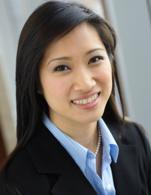 Ms. Hsieh was previously with Raymond James & Associates Inc as a Senior Associate in the firm's Equity Research Division, covering the midstream energy MLP space.